You & Me... by you! Remember how I said I would do a round up of your projects created for the You & Me series on the 16th? Yeah, me too. I just forgot to mention that I might be nearly a day ahead of many of you! I thought it would be fair to extend that deadline by one day. I didn't want anyone to miss out. If this is your first visit, you can read about You & Me here and see the round up of guest posts here. Two sweet projects were added to the You & Me Flickr group. 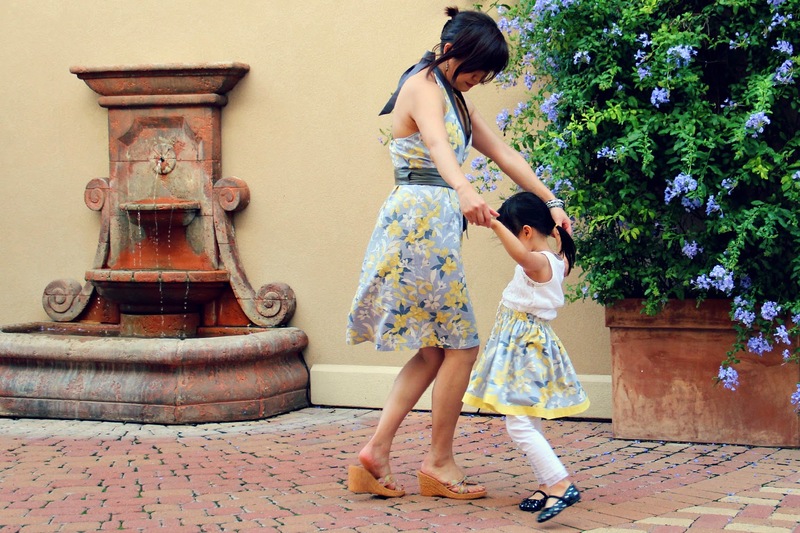 Annie of Peaches and Bees created a gorgeous dress for herself and a twirly skirt for her little girl. Don't they look so lovely together! You can read more about Annie's projects here. I was also happy to see the sweetest dress Lucy of Losing my thread created for her daughter. I am in love with this fabric. You can read more about this project and also see the most adorable muslin here. 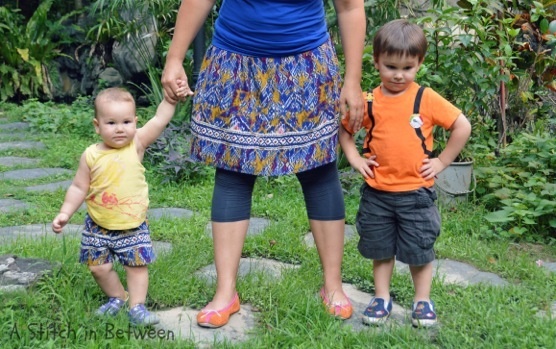 Just about an hour ago my friend Alisa from A Stitch in Between e-mailed me a few photos of the outfits she made for herself and her children. Alisa is yet to blog about this, so I feel privileged to be able to show you her creations today. 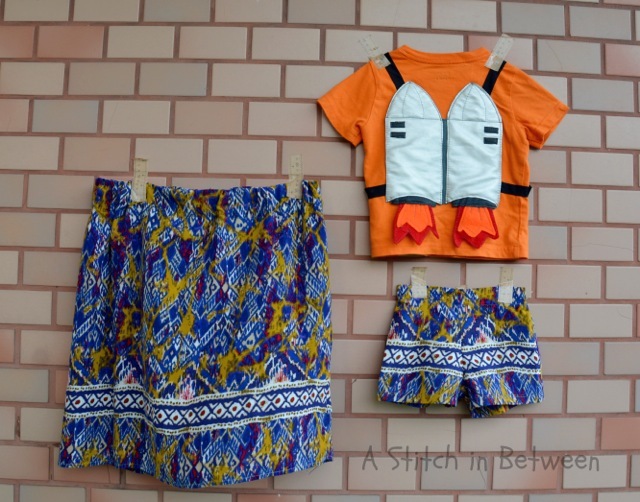 Alisa refashioned one of her old tunics into a skirt for herself and a pair of shorts for little Aleks. You can read more about Nic's super cool Jetpack Tee here. Thank you for joining in ladies! Dear friends, thank you for following my first sewing series. It's been an absolute blast! Let's do it again one day, hey? Thank you so much for featuring us in your post! This was such a beautiful series, I really enjoyed it! Thank you for joining in Annie :) I am glad you enjoyed the series. Most definitely do it again, and next time I might be able to join in too. 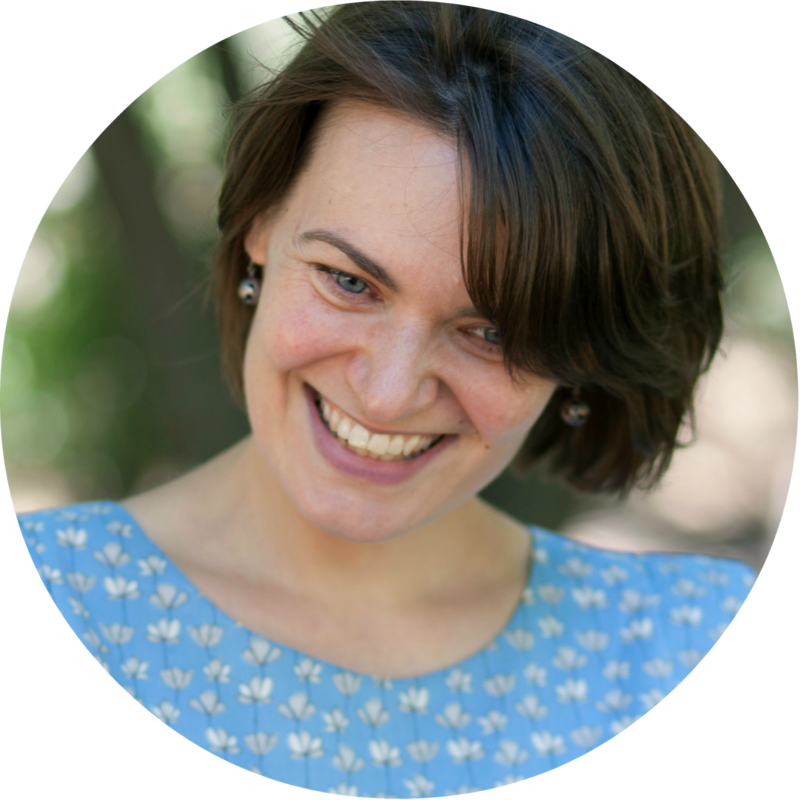 Annie always creates gorgeous clothes for her daughter and more recently herself. I love the dress and skirt above. Seeing those photos makes me want to make matching outfits for LM and I!